"Unfortunately, the U.S. team is unable to help with international requests. Have you tried reaching out to our Egypt team [?]" 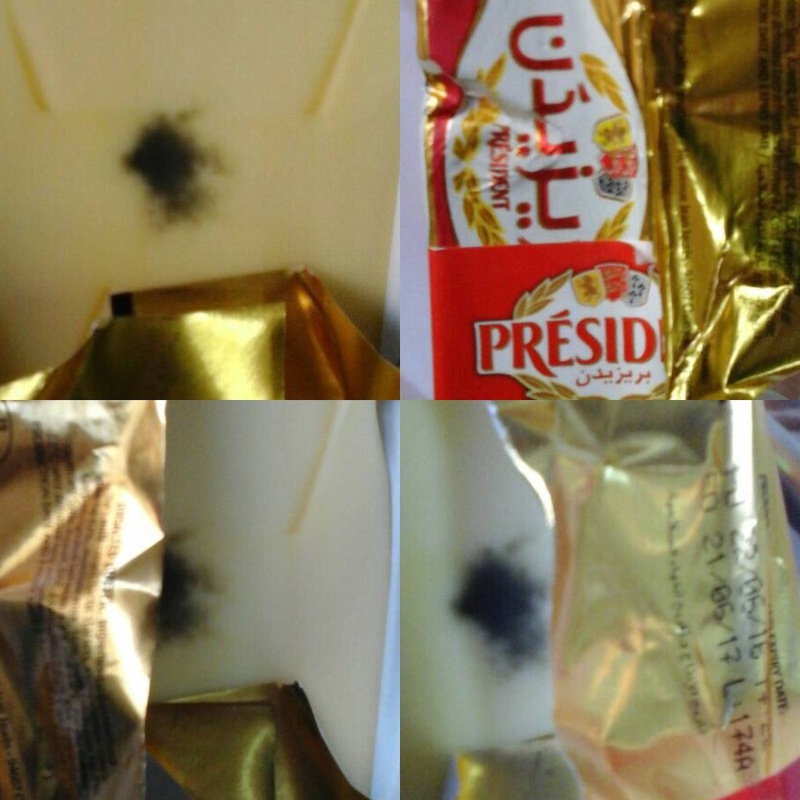 Again on his behalf, I certainly tried to contact the Egyptian team, explaining the product was purchased in Lebanon, was before its suggested expiry date, and was rotten and unsafe to consume. Several polite emails later which ran to the tune of "we have sent your complaint and we will double check with the relevant department so they would contact your brother." Eventually, I got this reply: "We wanted to confirm if you are living in Egypt or abroad , and if in Egypt we would like an Egyptian contact number please." Which obviously means they did not pay attention to the original mail or its details or content where I put my brother's Hamid number for further contact. I resent all contacts numbers I had originally sent, and was still hoping that something would happen. "Thank you for your reply Tarek, appreciate sending the complaint to [President Cheese US] as they will be of a better support, as our page is the official page of Egypt." "Unfortunately, I note that the product you bought was already in the distribution channel for more than 10 month and it is almost at the end of shelf life. We think that the apparition of mold is linked to this unusual long period in store." Interestingly there is an "I" and a "we" in the same sentence so I have no clue if this is the opinion of one person or the customer service at large. But the statement is akin to implying that the product does not even conform to the shelf life President itself has printed on it. As they say, "when you're in a hole stop digging!" But dig they did, they end the email with: "We understand your trouble when you discovered this damaged product, and we propose you to replace the product by a fresh one, so that you can experiment the fresh creamy taste of President butter." Because nothing says "we don't care about your brother's predicament" more than "buy more of our products because we are so bad at customer servicing and handling the ethical repercussions of our actions". So what does all of this mean? It means this:President sells a rotten, unsafe for consumption buter to my brother (who happens to be the father of two young children), plays a game of cat and mouse chase when a complaint was lodged, stalls for time hoping the plaintiff gets bored, and tosses the ball around to avoid all responsibility.